As a stem cell biologist, Dr. Zheng earned his PhD of Medical Science majoring in Physiology/Stem Cell Biology in the University of Tsukuba Graduate School of Medicine, Japan in 2003. From 2003 to present, he has been a team leader for liver and cancer stem cell researches. Dr. Zheng is interested in the identification and isolation of endoderm stem cells as well as liver stem cells in normal and cancer tissues from rodents and human sources; especially for hepatic primordial development and the microenvironment, and drug development, he is trying to generate chimera mouse and rat with humanized livers. Furthermore, for clinical application, he is investigating how to generate the hepatic organoids with cell-cell interactions from the same patient with somatic stem cells from the amnion tissue, umbilical cord and the same source iPS cells. He is also interested in understanding cellular reprogramming and trying cellular therapies, to converse one cell directly into another type in vitro and in vivo. No significant contribution to the field. The information and the references are not up to date. In addition to the exaggeration of stem cells' current findings and applications. Most of the writers are relatively unknown internationally in the filed of their chapters. I find the narration is confusing in some chapters. Maybe an English academic reviewer was needed. We are sorry that this title did not meet your expectations. We strive to provide our customers with top quality content. 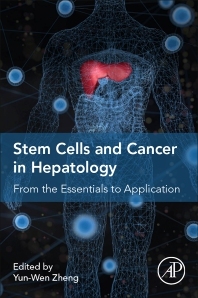 This title includes many significant contributions to the field including coverage of how the liver performs regeneration and repair, the role stem cells play in these processes, and the mechanisms by which liver cancers are initiated and developed. We included the most up-to-date information available tackling emerging areas including direct reprogramming, transdifferentiation, plasticity, ductular transdifferentiation, hepatic organoids and small molecule induced hepatic progenitors from adult hepatocytes. The book contributors belong to known academic communities including top level hepatology labs and have worked in the field for 20-30 years as professors or associate professors with the exception of two post-doc fellows whose works were also included. The proposal and table of contents were peer reviewed and the full manuscript was copyedited for consistency. Despite these efforts it is clear from your review that the content did not meet your expectations. If you would like to discuss this further with a Publisher at Elsevier feel free to contact Stacy Masucci (s.masucci@elsevier.com) and she may be able to better match you with content that meets your needs.